INVICTA KENT MEDIA: PICS SHOWS ;Channel Tunnel Large Security Operation . Illegal Immigrant is helped from his hiding place from on top of a lorry by the driver while the police officer looks on. PICS SHOWS ;Channel Tunnel Large Security Operation . 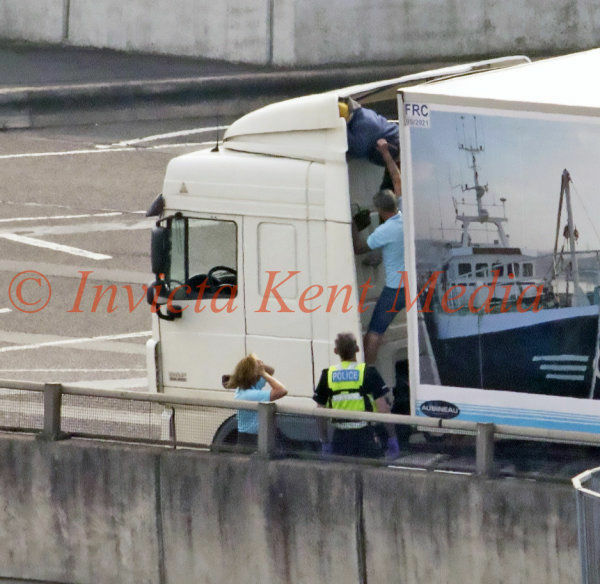 Illegal Immigrant is helped from his hiding place from on top of a lorry by the driver while the police officer looks on.